I made two trips on the new streetcar, both were on Sundays when I expected the crowds to be less. 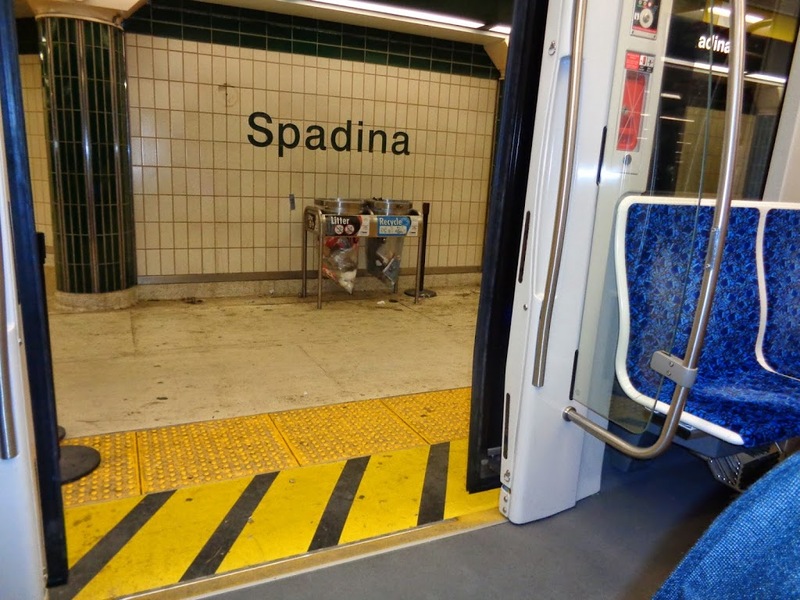 Trip 1: I boarded the streetcar at Spadina. I then headed southwards, disembarking at Spadina and Dundas. I re-boarded after two hours and went further to Union. From Union I took the subway home. Highlights of my first trip: The main thing was that it all worked quite smoothly. The only difficult moments were: 1) disembarking from the streetcar on the ramp. I felt the incline was too steep. 2) I disembarked in the middle of traffic, which is what all passengers do. However able-bodied passengers are able to walk across the traffic signal when the lights favour them. In my wheelchair I found I had to wait 2 or 3 lights to get a break and feel safe enough to cross. The general speed to cross in a wheelchair is slower than on pavement, because of the embedded metal streetcar tracks. I should think that people in manual chairs will find it more difficult to cross the road in time. Trip 2: I boarded the streetcar at Union heading northwards to Spadina. Halfway through the journey at Spadina and King, the streetcar developed problems and the driver announced that it was going out of service. We all had to disembark and he left in an empty streetcar. The able bodied passengers boarded the next streetcar and went on their way. I was the only person left waiting on the street. It was a cold Sunday evening, and a uniformed TTC employee informed me that no other accessible streetcars would come that way since it was getting late on a Sunday evening. He offered to ring up Wheel-Trans and get them to come and pick me up. I waited about 30 minutes, but no Wheel-Trans showed up. The TTC employee then asked me to cross the road and go to the other side and wait for a return streetcar which was soon to arrive. After an hour after the first streetcar, the second streetcar came and I headed back to Union station. Positive comments: On the first trip I disembarked at Chinatown which I had not seen in several years because of the lack of previous accessible routes. Since it was Sunday, the crowds were less and I was able to easily navigate the sidewalks and even managed to find a suitable restaurant which had accessible doors. I am hoping that more establishments will make themselves barrier-free as more streetcars become wheelchair accessible and more customers show up who need accessibility. Negative comments: Getting stranded in the middle of traffic. Although the TTC employees did try their best, the whole process took longer than it should have. Therefore I do not think the streetcar is a suitable method of transportation for any person who has an appointment to keep, especially if you cannot simply take the next vehicle that comes along. 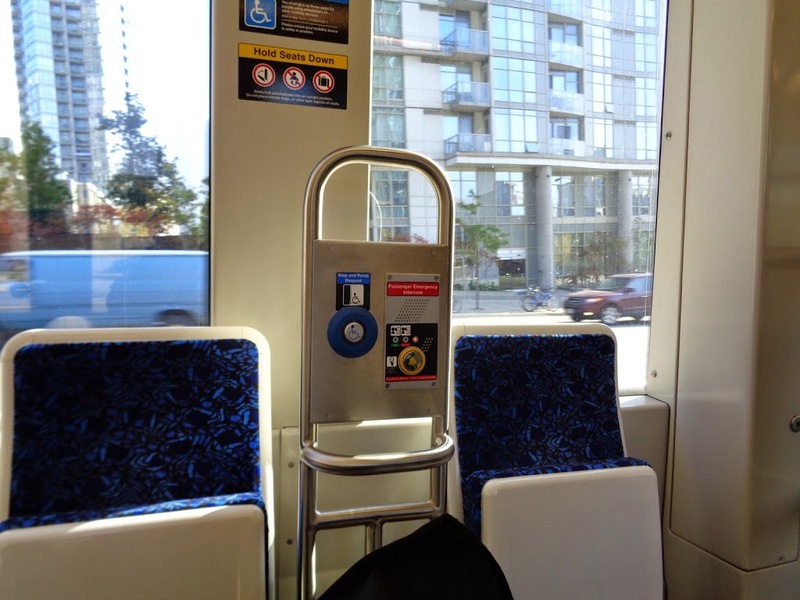 Also as I said earlier, a manual chair will present more issues than a powered wheelchair, especially for travel in winter using the streetcar. 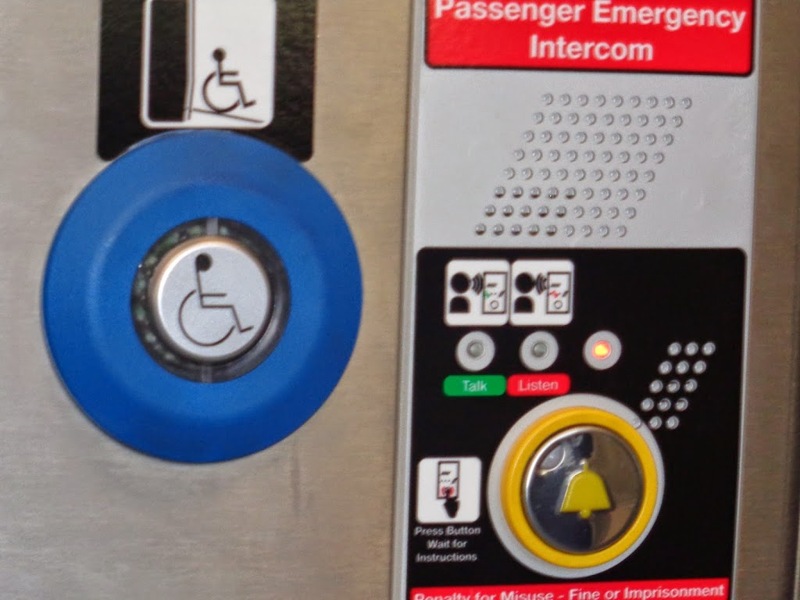 The internal controls are all geared to people who are sighted and any person with a visual impairment will find it difficult to disembark at a particular stop. Right now the TTC people are friendly and attentive and I hope this remains the case even when the new gen streetcar has become more common. Assistive Technology Holiday Gift Guide!